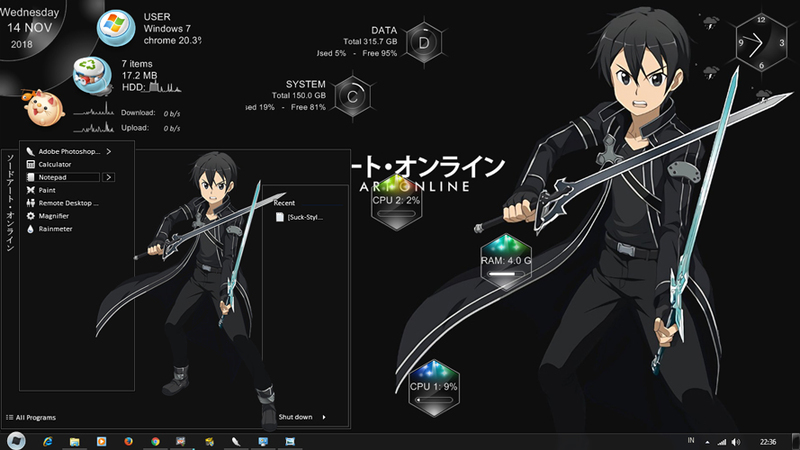 This theme is the same as my post a few days ago, that is Kirito's theme from anime Sword art Online. 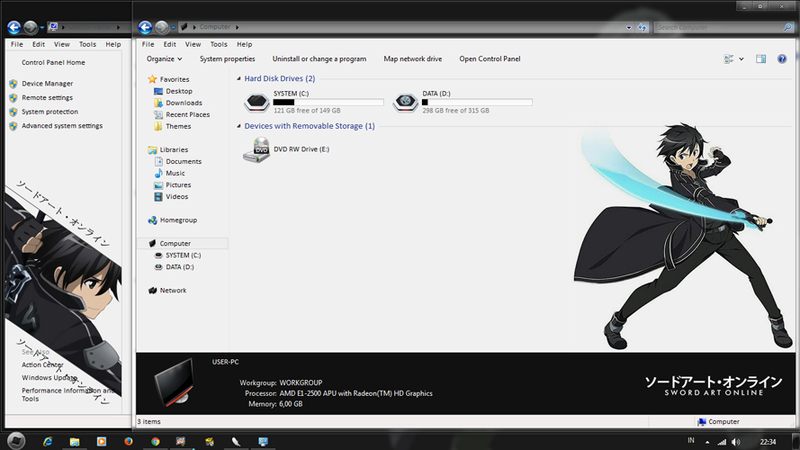 But now it's the Windows 7 version. Is this theme similar to the Windows 10 version? 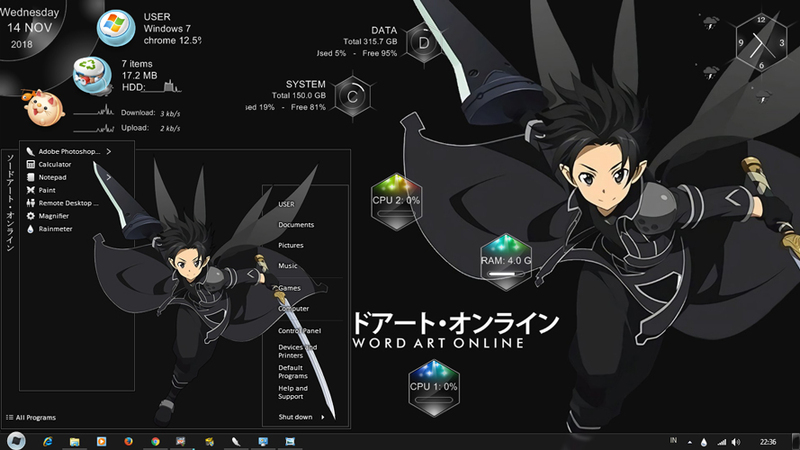 In general, I can say this theme looks similar to the Windows 10 version, it's just that I don't use flat style for this Windows 7 theme. Because it's not very suitable. 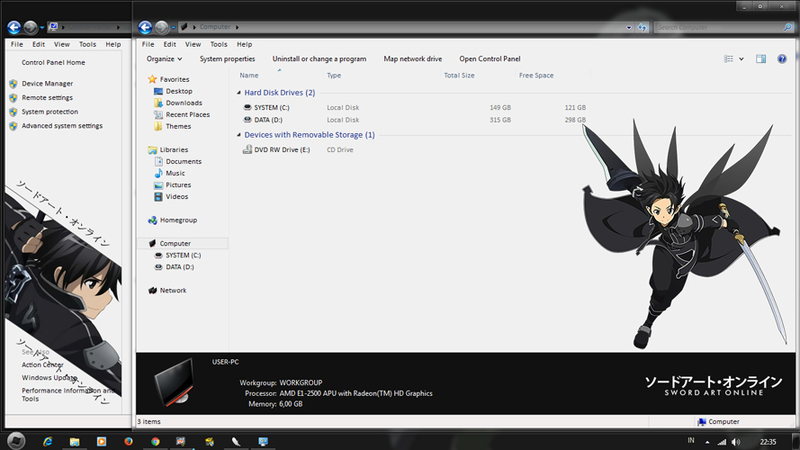 In the windows explorer view, I tried with a new style that is a plain command module that I often use on my Windows 10 theme. 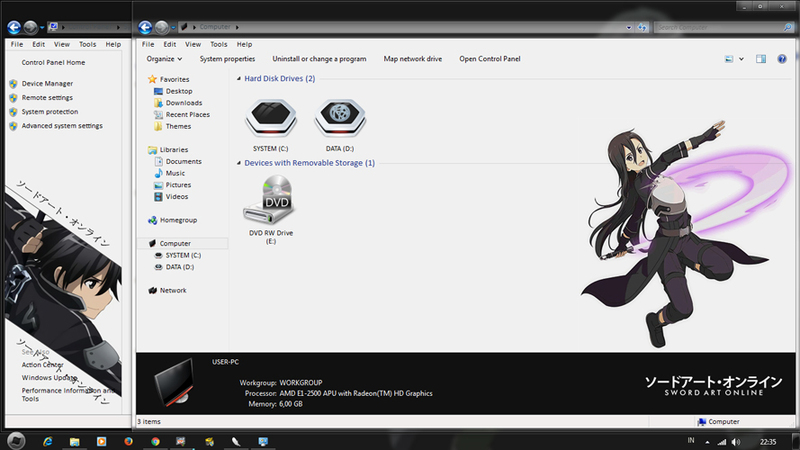 In the windows frame I still use the default Windows 7 display, aero. Maybe that's all I can explain. Thank you for visiting and using my theme. Regards, Bashkara.